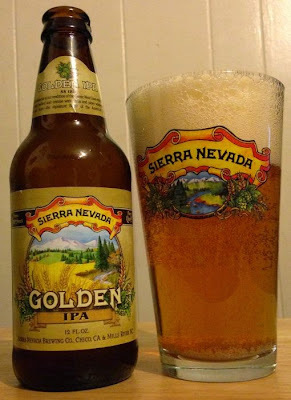 Golden IPA is an average beer for Sierra Nevada, which means it’s still better than most of the other beers in a grocery store. It pours a bright yellow, lots of crackling head. The aroma is lemongrass, butter, pine. The flavor is bright and light. A little citrus, a little bread, and a dry white wine quality in the finish. Not bad at all.